Perfume Shrine is introducing a new feature: Twin Peaks. 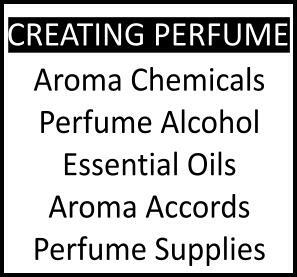 Lynch inpired but lynch-free for the fragrances it aims to juxtapose and compare highlighting their similarities and kindred spirits. I sure hope you enjoy finding some smell-alikes for things you were either scared of, unsure of, broke for or just bored to go hunting down following their lamented discontinuation. The first duo on this feature is Aromatics Elixir (which has already been reviewed the other day here) and Earth by Apivita. "back to a small pharmacy, owned by Niki and Nikos Koutsianas. Being both passionately fond of natural products and having great respect for Classical Greek philosophy, they created a line of soaps and shampoos based on bee products: honey, propolis, royal jelly and bee pollen. Their first brand, Dermoline, later named Propoline"
The brand quickly flourished thanks to their natural approach that utilised the best products of the rich Greek flora and of bees. "Api" stads for the api-doings they use in their excellent products and "vita" means of course life. Life through the workmanship of bees, then! Not a bad idea from a biological standpoint. Today they are a leading brand on natural based products and aromatherapy offerings, focusing on the use of top quality essential oils and encompassing many different categories for the care of face, body, hair, pregnancy, babies, health and balance as well as aromatheurapetic and fragrant products. (You can visit their site here). 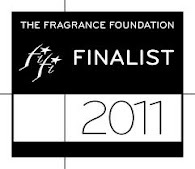 It was the latter that caught on in the eyes of the american public through the immense success of their Euphoria line: a fragrant eau de toilette, shower gel, body lotion and body scrub with notes of ylang ylang, vanilla and white chocolate that melted under your hands and hypnotised the senses. And then recently they came out with a series of "soli-scents" (for lack of a better word) that focus on one respective element using natural essences as much as possible, for which they have already become well respected, but with a certain depth and complexity in the simple ideas laid out as well. Of those 7 scents, Earth was the one that immediately caught my fancy, although I liked others as well, Jasmine being another one. The familiar tang of relation to something old and enjoyed from afar dawned on me and I realised this is the younger, more wearable version of Aromatics Elixir. 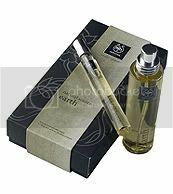 Earth shares many common notes with the afore mentioned Clinique fragrance as well as the concept of aromatheurapeutic effect on the psyche. It is even advertised as having a positive energy surrounding it that you might want to share with the world. Its intense patchouli base allied to sandalwood is unmistakeable and accounts for much of the impression it gives me of being close to Aromatics Elixir. Rosewood and a floral heart of ylang ylang add some airy, slightly soapy element whereas a mix of spices -of which clove bud is listed but I perceive many- and bitter mossy touches render the whole into a composition that transports one into a sensual realm of power and desire. Because the company uses the mythological reference of Hera and talks about fertility (a Goddess concept to be sure) and because the cinematic associations with Excalibur were still fresh in my memory from the other day, I thought the clip below wasn't very far off from what I perceive it in my mind to convey. If Aromatics Elixir is akin to the darker, bewitching powers of Morgana Le Fey, the scent of a villaness, Earth is simpler and unaffected, reflecting the innocence of the youth of Igrayne and her fertile womb, soon to carry the seed that would culminate in a legend. The dance sequence from the film is indicative of the slightly submissive stance that Igrayne takes to her husband and yet there is desire, ecstacy and lust in her movements that prompts Uther to his utterances despite the severe cost he would pay. What the clip doesn't show is Uther, animated by highly charismatic Gabriel Byrne, literally spits at the end of the challenge by Igrayne's husband, ready to break the alliance and siege the castle. I am not sure whether men would literally fight for a woman wearing Earth ,minus the skimmed-milk complexion and strawberry blonde tresses of Katrine Boorman, but I guess it doesn't hurt to try! You can find Earth by Apivita at b-glowing and Amazon. There is a bigger 50ml/1.7oz glass bottle and a smaller 10ml/0.3oz bottle that is very cute and practical for your purse or travel. 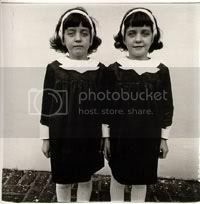 Pic of twins by Diane Arbus via Transidex. Pic of Earth bottle courtesy of b-glowing. I am smiling, cause you are totally right. Some months ago when I first smelled this, I was with my mother at a pharmacy. Startled I brought this to her nose asking her if she also found it smelled like Aromatics Elixir. Well spotted! PS: Propoline sunscreens are a-ma-zing. They even manage to keep the tender, milky white skin of my Dutch SO from burning! It's good to know I am not the only one feeling it is is so. And their inspiration isn't a bad one; especially as they made this one easier to wear. Mental note to test the Propoline sunscreens (I go with Vichy and a Roche Posay currently). Wonderful idea for a feature, Helg--and of course I can't resist the Lynch reference. I have to admit I am one who simply cannot wear AE, in spite of being a moss lover. Earth sounds much more my speed. Thanks for the tip. Yes, I think Earth would be better suited to your sensibilities. 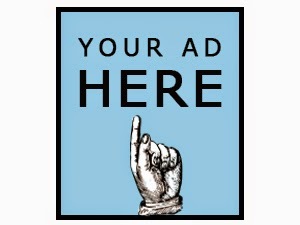 Maybe I can send you a sample if you want to.